Adult children of alcoholics each have their own individual journey, yet they share some powerful factors in common. These factors can very directly impact the course of the person’s individuation, the term that Jungian depth psychotherapists use to describe the path an individual follows to become fully her- or himself. What are some of these key factors, or dimensions? And what do they mean for an individual travelling his or her own individual journey to meaning and purpose? Estimates are that as many as 18.5% of U.S. children may be the children of alcoholics; we can expect that numbers would not deviate that radically in Canada. This is a huge number of people; and very many of them are carrying burdens of very nearly overwhelming pain, related to traumatic and other extremely painful experience in the past. Dr. Claudia Black, Ph. D., a renowned expert on addictions and adult children of alcoholics notes that these individuals grow up with three rules particularly deeply ingrained in their lives: don’t trust; don’t feel; and, don’t talk. Each of these “rules” comes with a background history, often composed of incredible pain and sorrow. 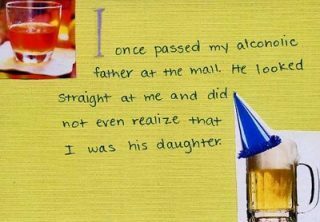 Alcoholic parents can often be so absorbed in concerns related to themselves and their drinking that they forget or are unconcerned with the needs of family members, to the point where they forget about key occasions like birthdays, or graduations, or they leave family members stranded. Children who are subject to a steady diet of such experiences absorb the message that there is no one in whom they can have any faith. In Jungian terms they encounter the devastating negative side of archetypal mother and father. 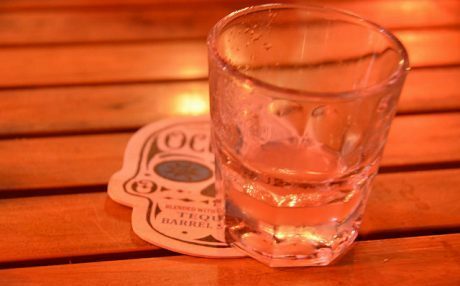 Kids of alcoholics become experts at denying the reality around them, both in terms of emotional reality, but often, also, in terms of just plain facts. They can easily become experts at avoiding talking about difficult areas of life. This can actually mean that they resist talking about anything painful, or urgent. But it can also mean that they unconsciously resist talking about anything that is truly important or meaningful, which can mean that they face particular difficulty at times like major life transitions. Adult children of alcoholics often strongly over-react to situations in the present, moving into emotional denial or defensiveness — or completely disproportionate responses. It’s important for these folks to know that such over-reaction to a present event is really the re-experiencing of pain rooted in the past. Depth psychotherapy speaks of it as being rooted in a feeling toned complex that began with traumatic experiences. Such a complex can be extremely touchy; when activated, it can easily bring the pain of the past into the present. For adult children of alcoholics, being able to separate the present from the powerful emotional triggers that would send them back into past pain is essential, if they are to keep moving forward in their lives, and their individuation. The right kind of depth psychotherapy can be extremely helpful in assisting with this result.